Grand Lake Dental was founded with one goal in mind and that is to create a patient experience that just doesn’t meet but exceeds expectations of patients. It is our belief by creating a culture of service and a patient centered dental practice we have accomplished this. From our beautiful building to our outstanding staff we address each and every patient and their concerns as the unique individual they are. 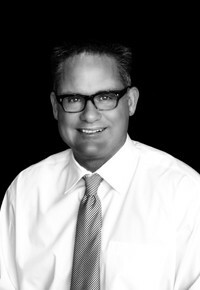 Dr. Jobst is a 1998 graduate from the University of Tennessee College of Dentistry. Since dental school Dr. has pursued numerous programs to increase his knowledge to provide a high level of care for his patients. Some of the programs and awards Dr. Jobst has received are as follows. Dr Jobst is dedicated in his continued pursuit of clinical excellence in dentistry. He is currently an active participant in the elite Spear Education Program in Scottsdale, AZ. In Dr. Jobst’s spare time he enjoys spending time with his wife Mary and being active in charitable causes in his community. He is also an active pilot with over 1200 flight hours.